Here are 2 black bullet mods made especially for my Youtube tutorial video ! Hope you will enjoy it ! As you can see, I’ve started to make penmodding tutorial videos on youtube ! I’ve already made for Sonoda emboss mod and Menowa* emboss mod ! 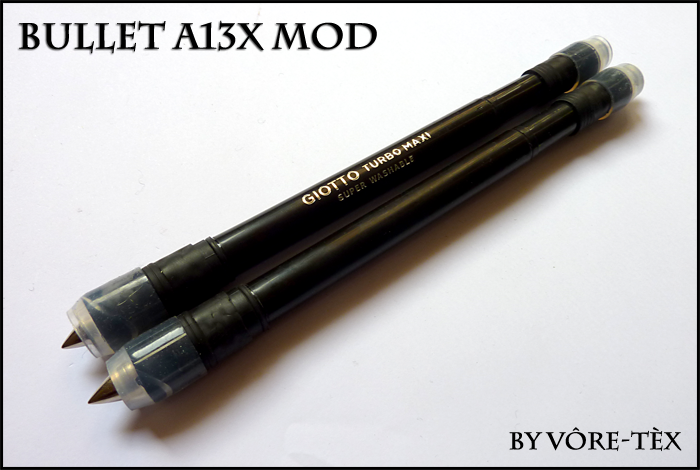 Share the post "[TUTORIAL] Bullet A13X mod"